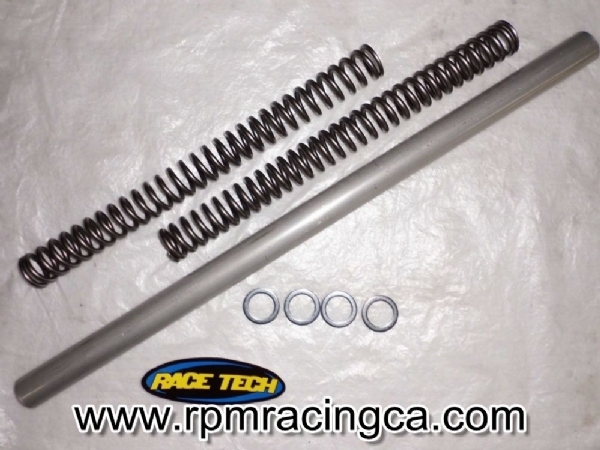 Race Tech High Performmance Front Spring Set; .90 kg/mm. Kit comes complete with Two (2) springs, One (1) Length of Spacer Tube, Four (4) End Washers, Instructions & Decals. Our High Performance Springs have a high stiffness to mass ratio. In other words, our springs are light weight for their particular rate compared to the competition. These springs require the finest materials in manufacturing to acheive this balance. And, of course, you want the specific rate you're paying for. Most manufacturers hold their spring rates within 1-5% of the listed rate. This means a spring marked 5.0 kg/mm could be a 4.75 or even 5.25, and a spring marked 5.0 could be the same rate as one marked 5.4! 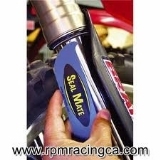 Race Tech HP Springs have extremely accurate rates and are pre-set so their rate will stay consistent through their entire use (no sacking out). 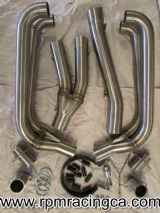 Chrome silicon, high stiffness to mass ratio, shot peened, heat treated. These are the finest springs available, period! We manufacture Race Tech High Performance Springs and distribute Eibach Springs as an alternative for some spring sizes we don't manufacture. Both are high quality and the best for any application.